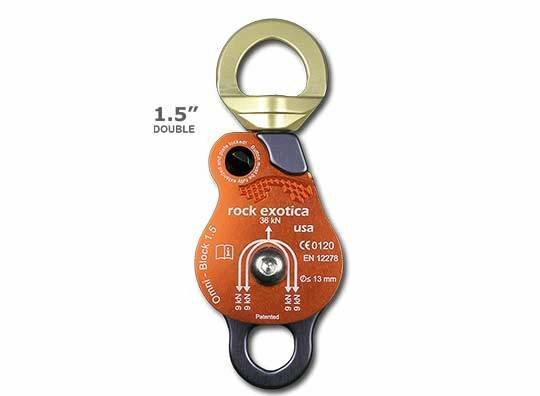 Size: * 1.1" 1.5" 1.5" (Double) 2.0" 2.0" (Double) 2.6"
The Omni-Block combines a swivel and pulley into one tool, and incorporates a unique sideplate that opens while the pulley is still attached to the anchor. 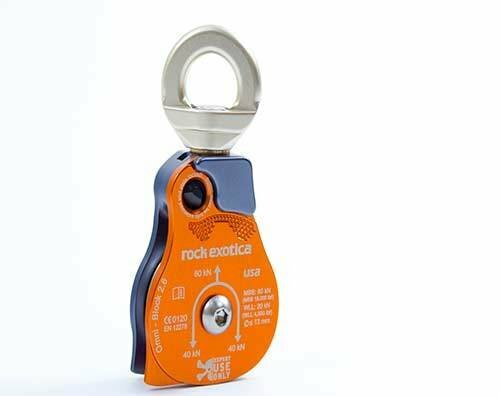 Traditionally, a pulley is connected to a swivel by a carabiner. 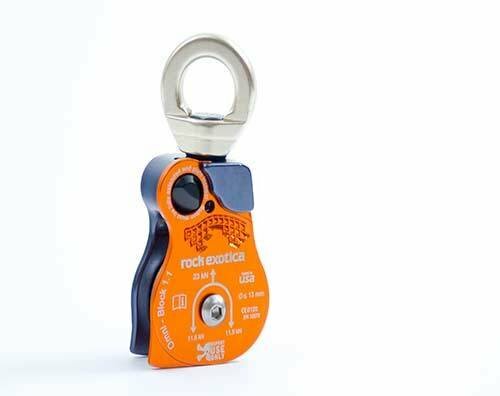 However, the Omni eliminates the need for the carabiner, reducing length and pieces of equipment in the rigging system. 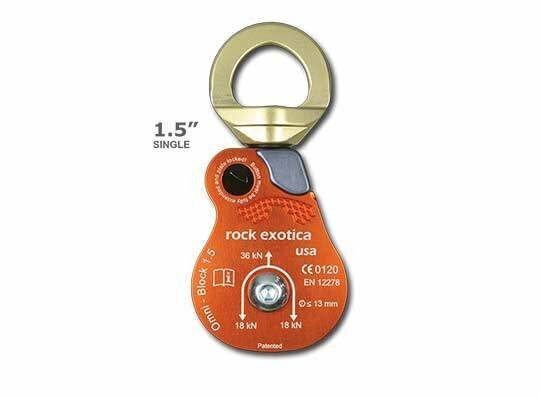 The short length of the Omni is important when used in high-angle, confined space or other space-sensitive rigging environments. The reduced weight of the Omni will make hauling your gear easier. 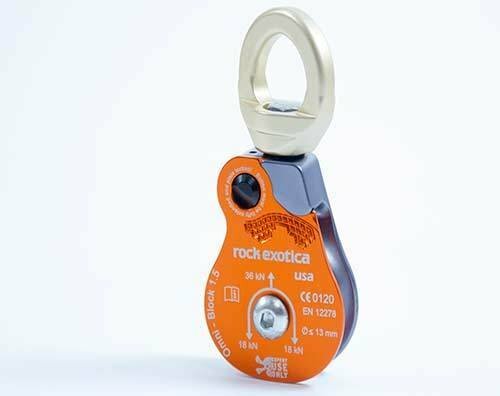 Additionally, the Omni sideplate can be opened without detaching from the carabiner. 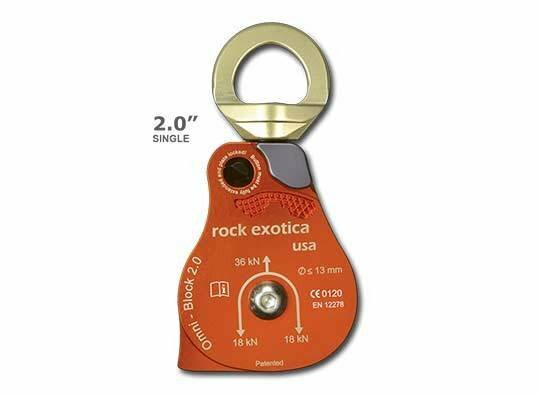 Traditional pulleys require removing from the carabiner to change the rope. 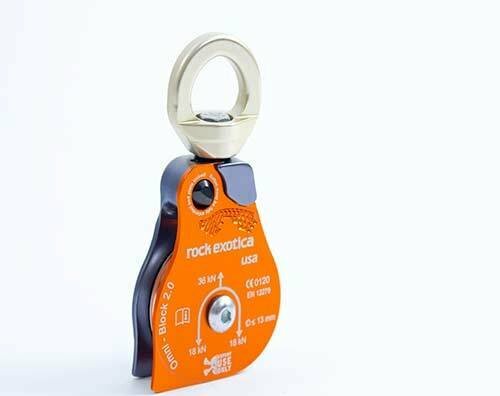 With the Omni, the user is able to do this while the pulley is still secured.The Omni's ability to remain connected to the anchor while opening the sideplates allows the technician to install and remove lines from the pulley - in some cases with a single hand, simplifying a process that can otherwise lead to dropped equipment, fatigue, and attention taken away from job safety. To open the Omni sideplate, the user pushes the button and rotates the sideplate. A safety catch stops the sideplate from rotating completely open until the button is pushed a second time. 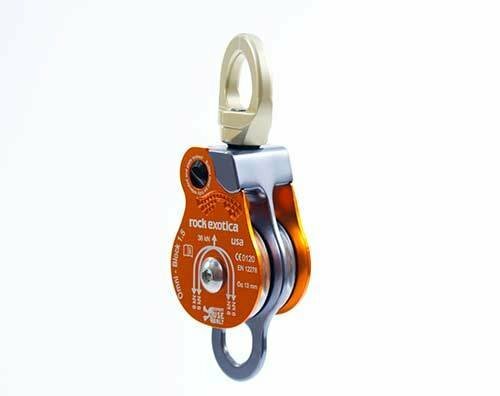 The sideplate is easily closed by squeezing the sideplate into the body of the pulley. 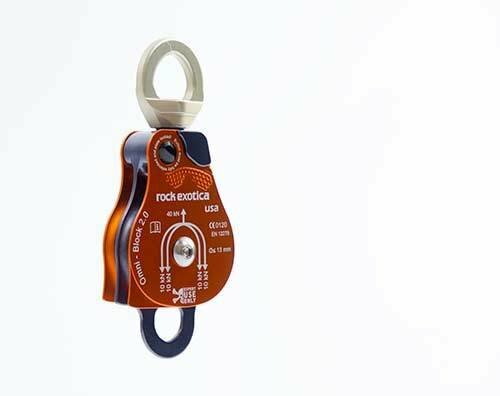 Two loud clicks are heard as the sideplate pushes past the button to close securely against the body of the pulley.